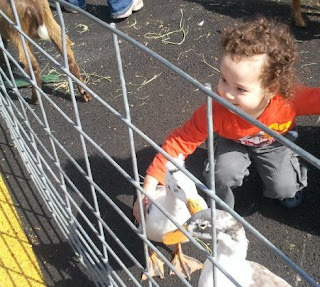 A local store grand opening event set up a little animal petting area for children. Pooh bear had a great time. 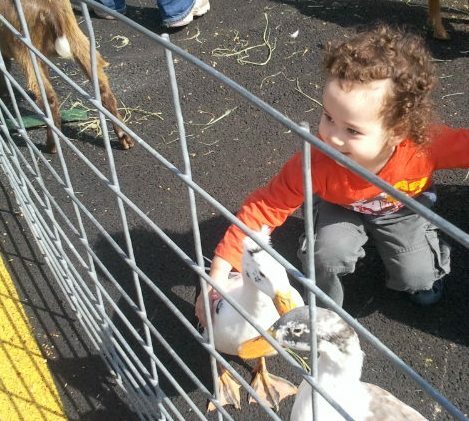 As you can see the ducks were his favorite!!! I love doing little fun things like this with Little Bit. Their joy is contagious. Looks like he had tons of fun!! I still love petting zoos! 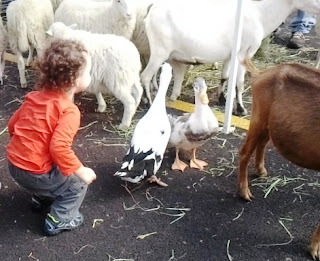 At the fair, they had a little wallaby who was hopping like crazy all over the place while the little goats tried to eat my shoelaces. Oh how fun!! It has been many years since I have done anything like that. My Grandkids think they are to old to have fun like that. 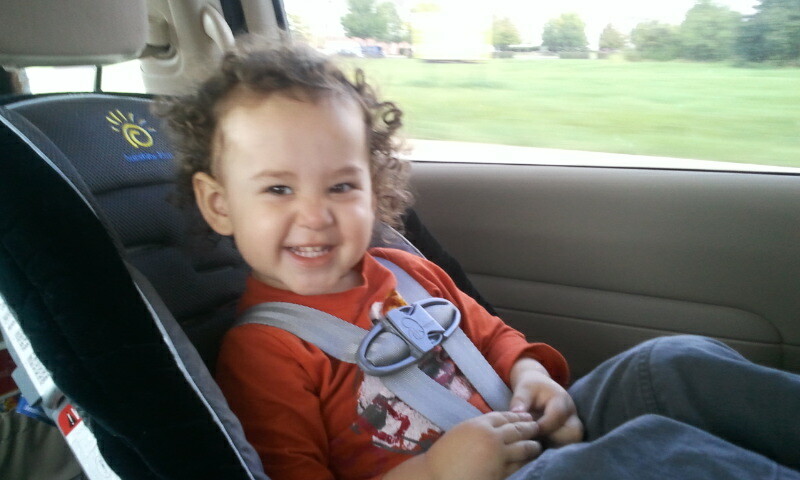 Oh how adorable. I love pooh bears hair. I have a grandson with curly hair like that but his mom and dad keep it cut so short because he gets too hot when it grows out any. Adorable pictures! He is an adorable little boy! 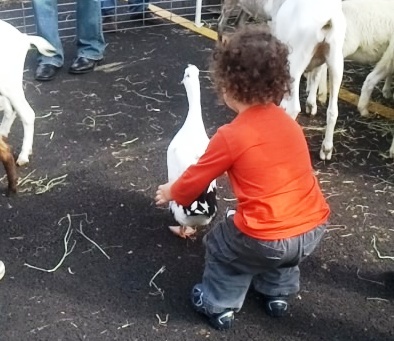 Never mind the ducks, look at you're grandson's glorious curly hair! I absolutely loooove it! Gorgeous!